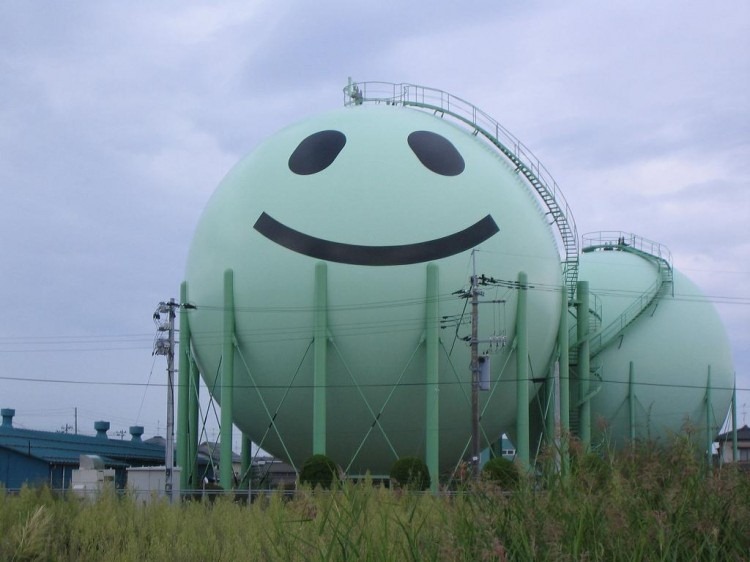 Giant gas storage tanks are usually an eye sore, but not in Japan. For the Japanese, they are giant piece of canvas. Many gas companies will artfully decorate their spherical gas storage tanks with colorful graphite, cartoon and traditional folk art. Some are decorated for a specific reason such as product promotion, but most decorated tanks seem to state no particular message. These gas tanks are found all over the country.